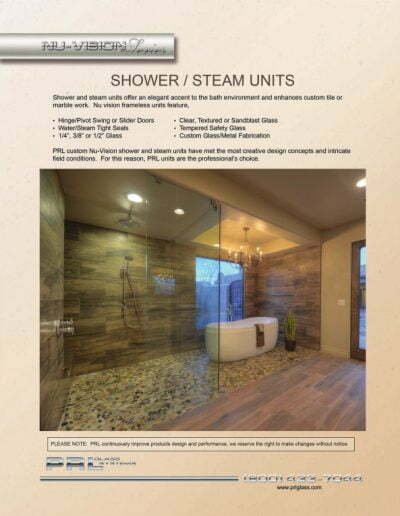 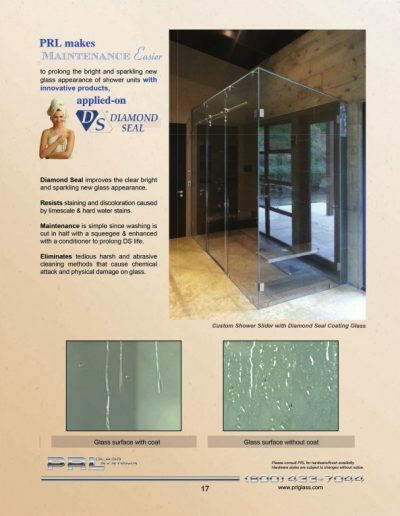 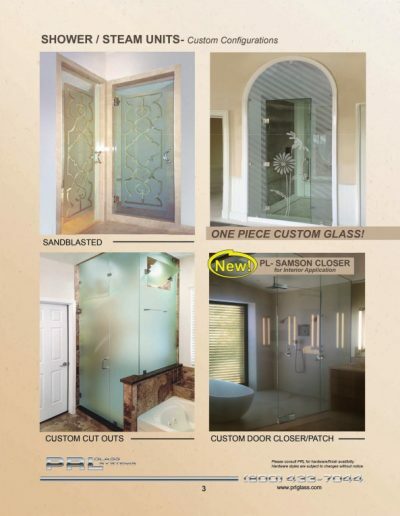 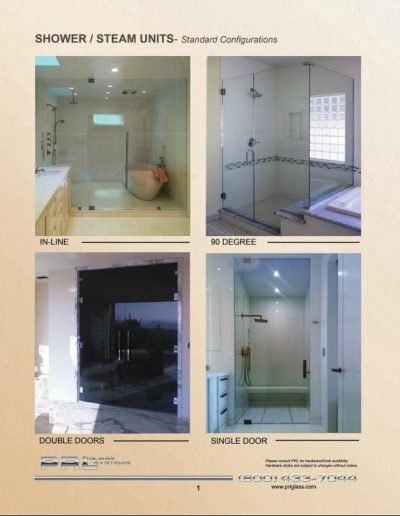 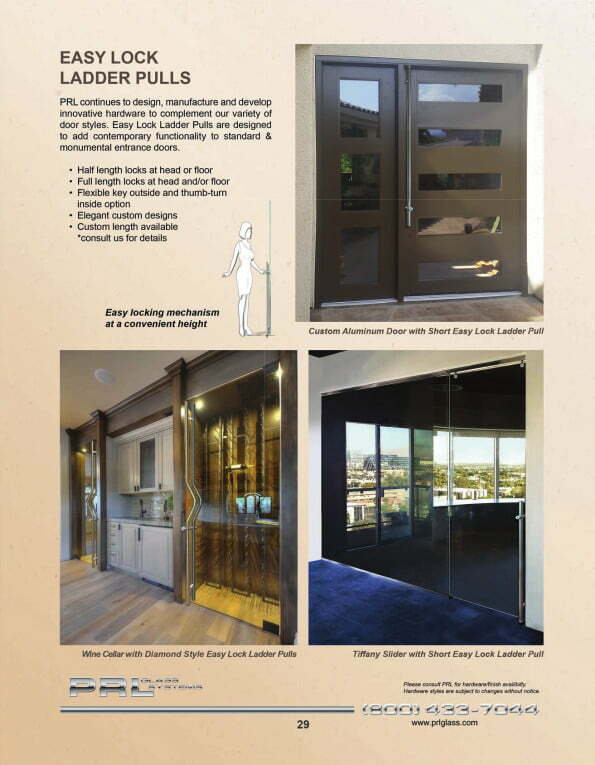 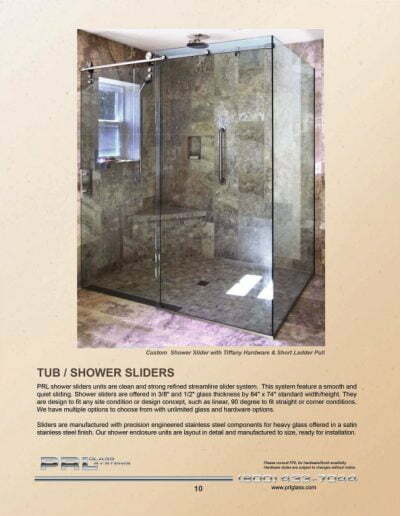 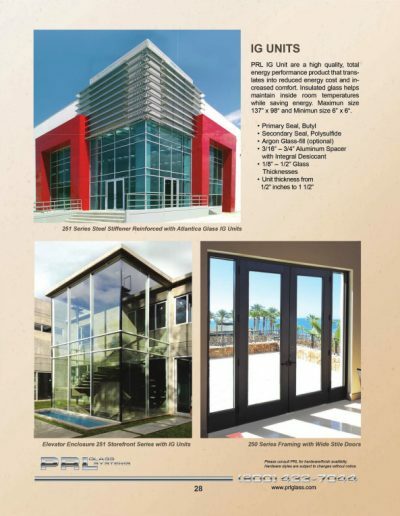 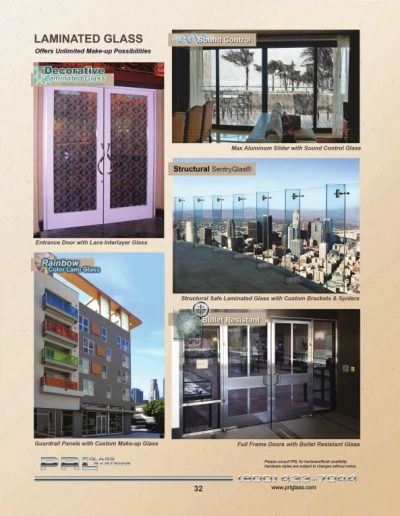 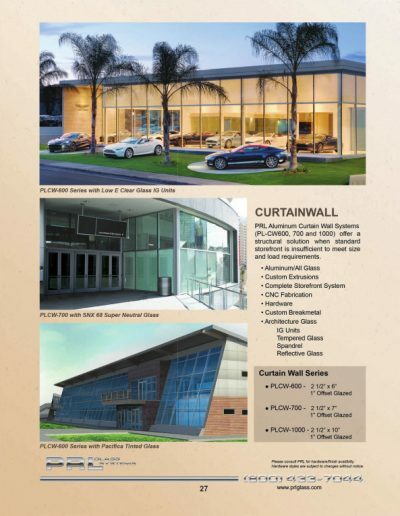 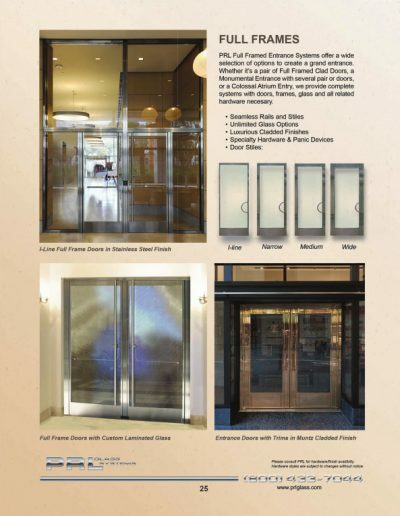 PRL’s Shower Division offers you the highest quality frameless shower door units in the industry with an elegant design for all your custom or standard frameless door enclosure applications. 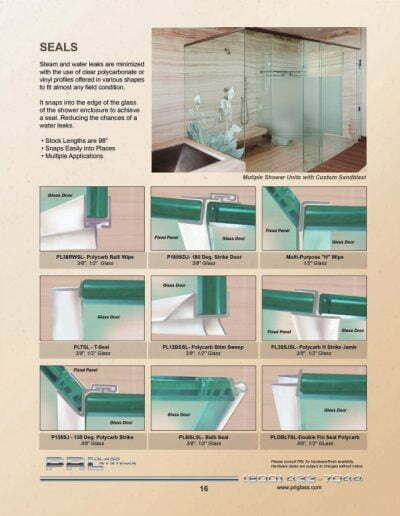 Our frameless shower door units are completely designed to your specifications and configurations. 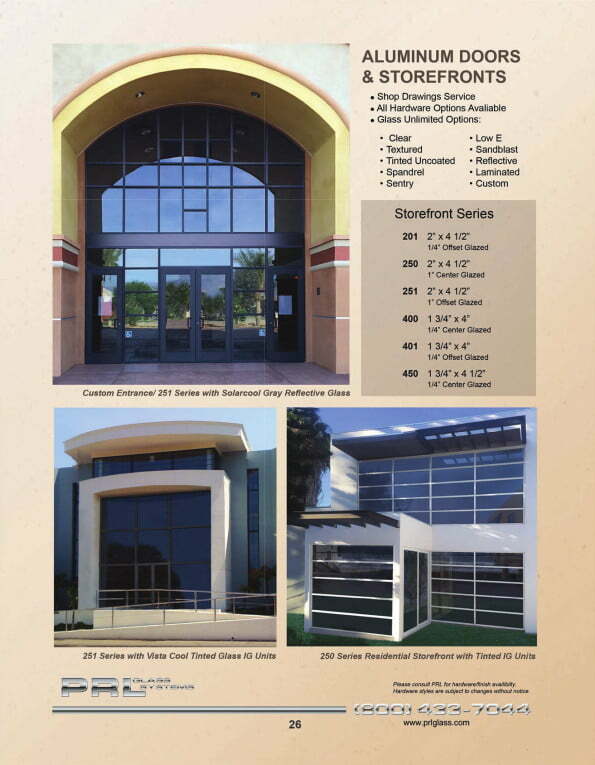 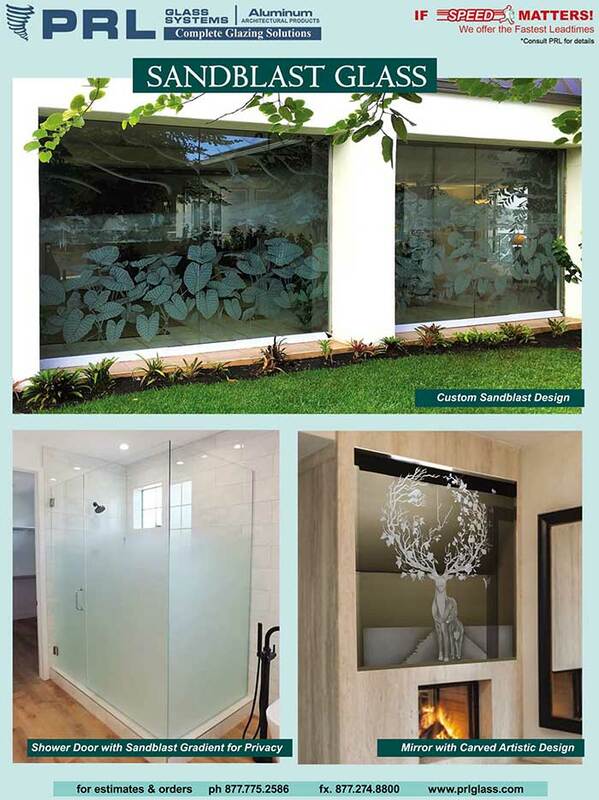 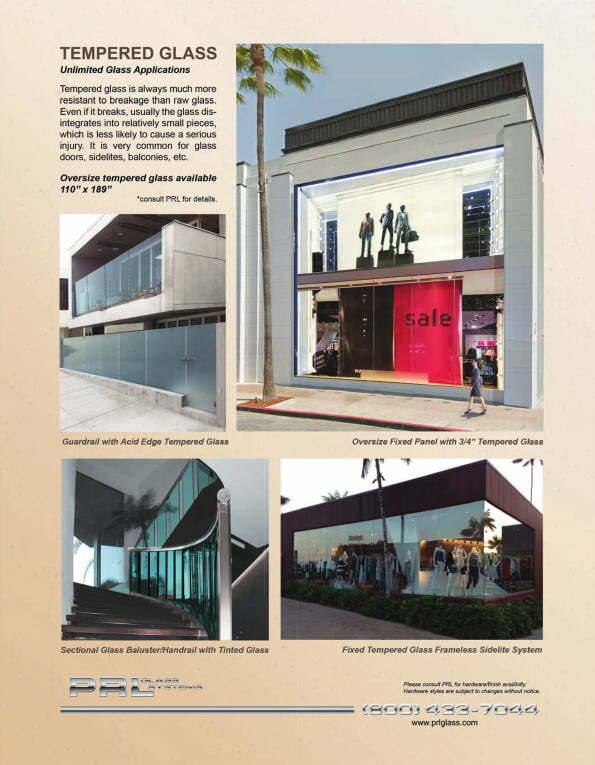 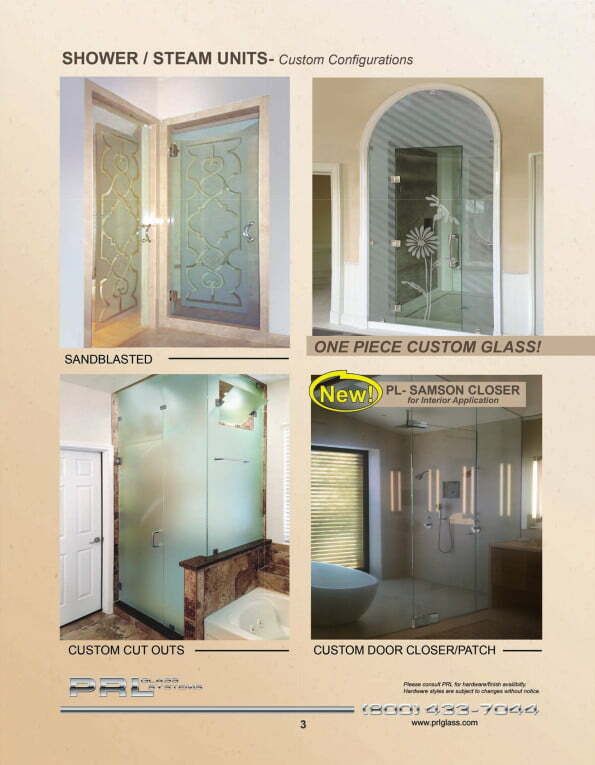 We can also offer your frameless door unit a very sophisticated sandblast design. 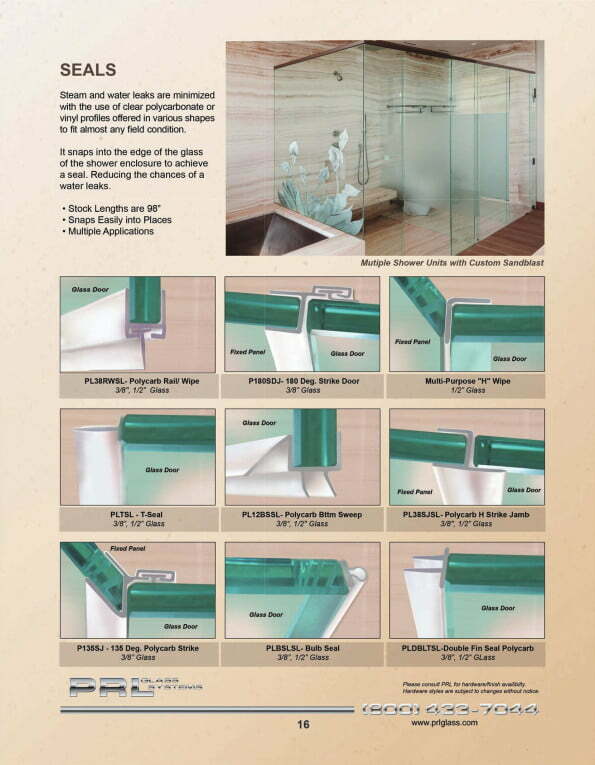 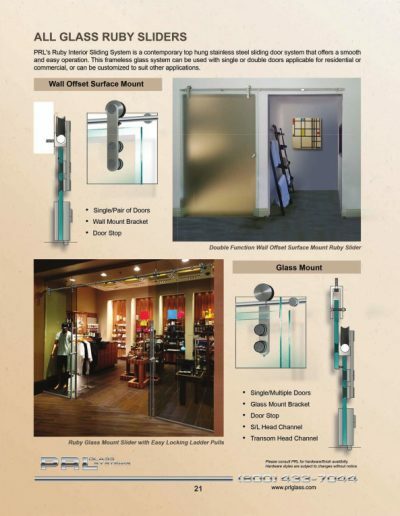 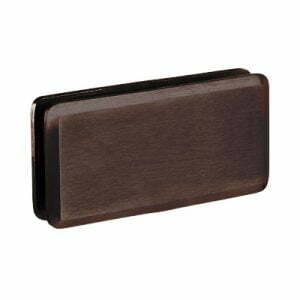 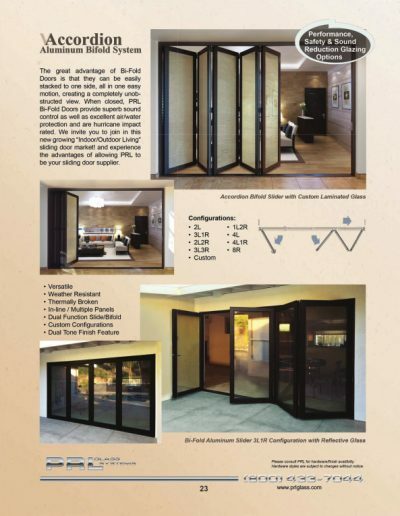 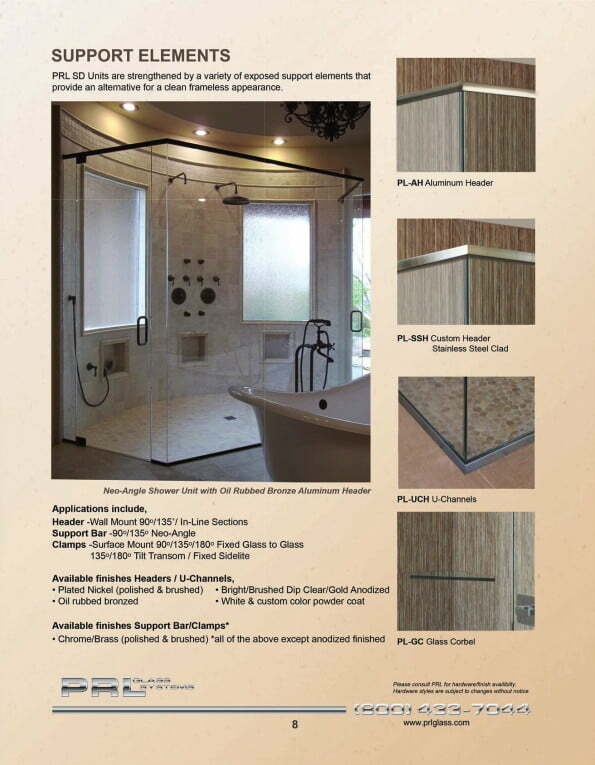 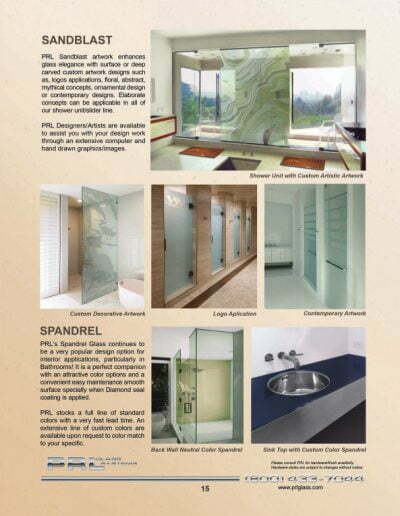 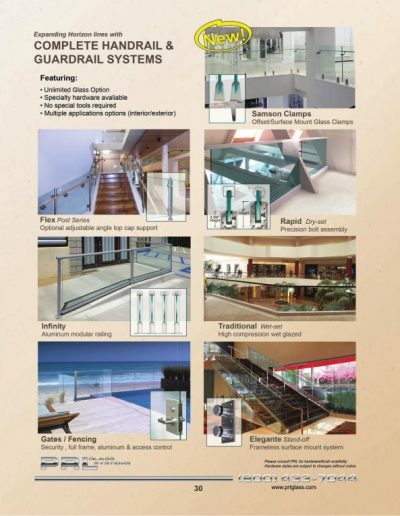 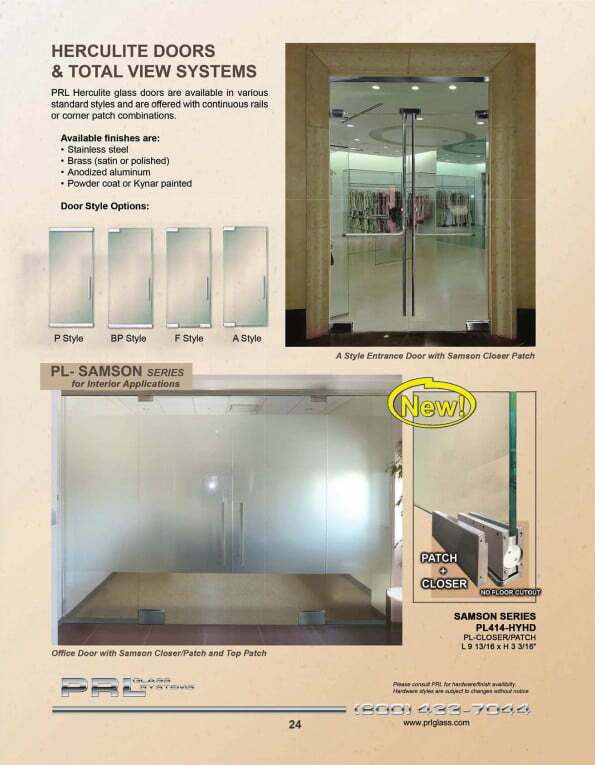 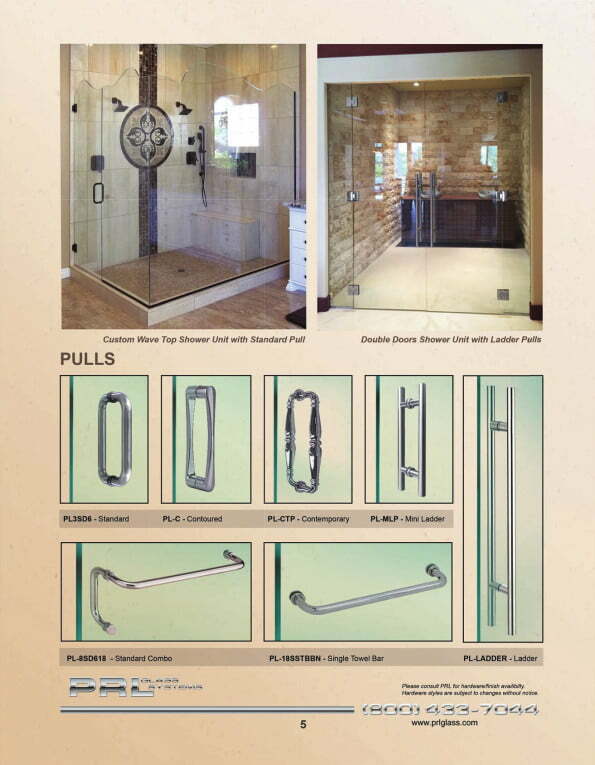 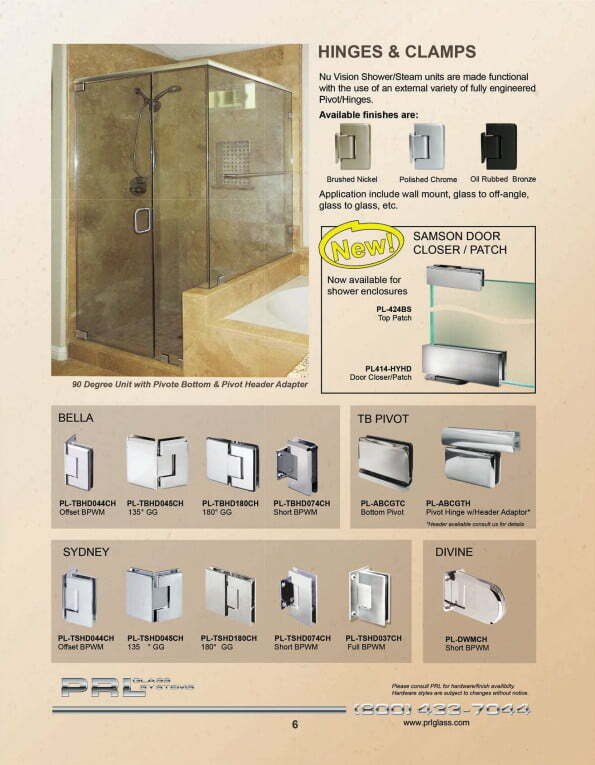 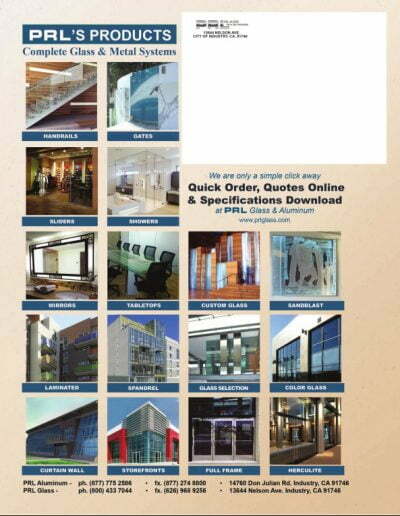 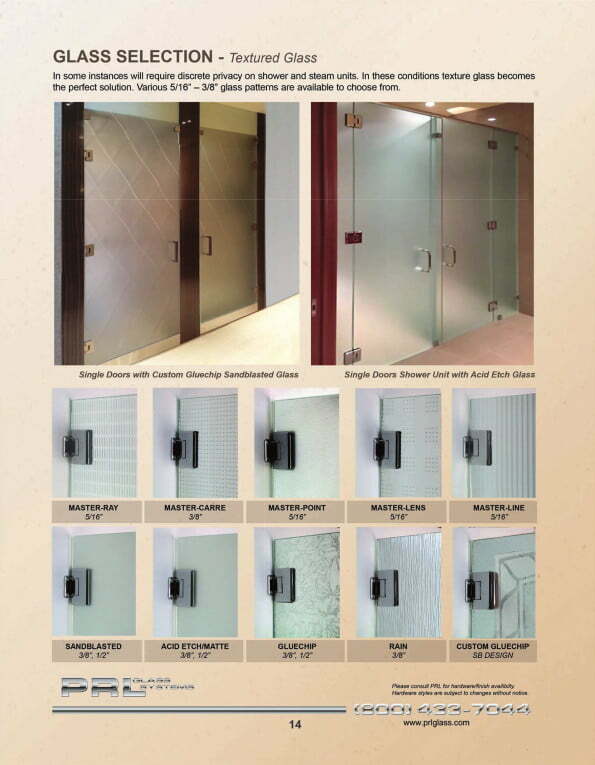 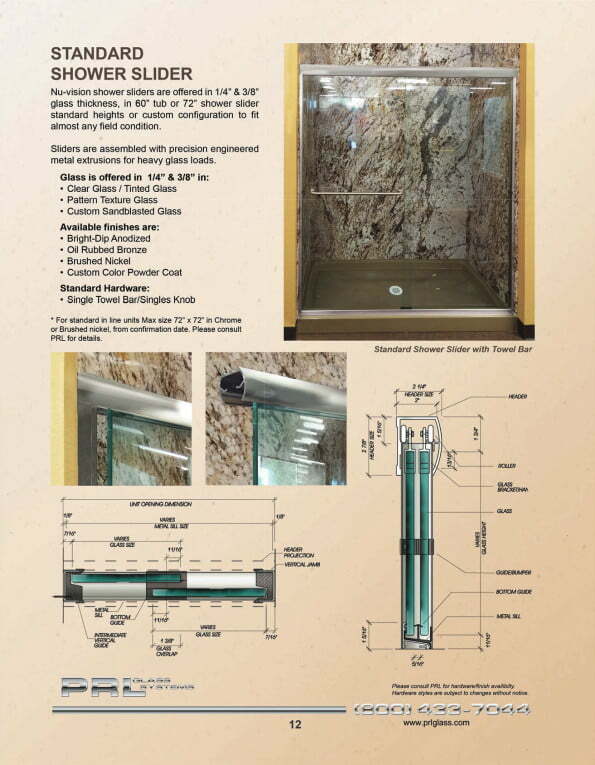 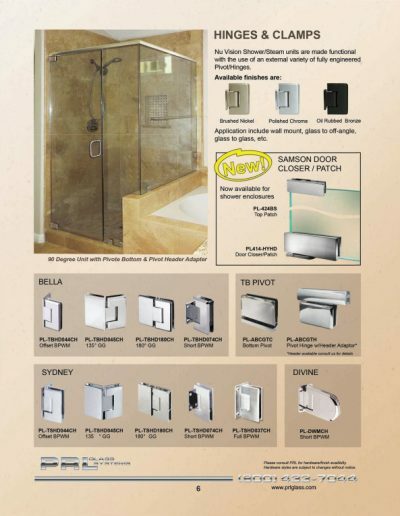 PRL is your true frameless shower door unit manufacturer for complete systems. 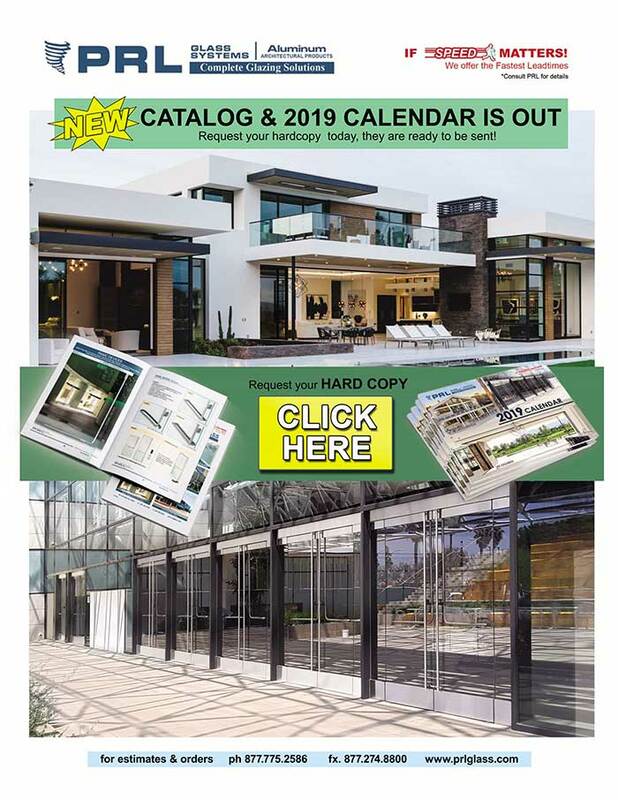 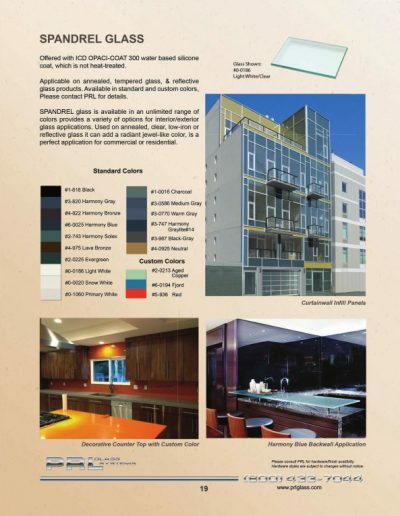 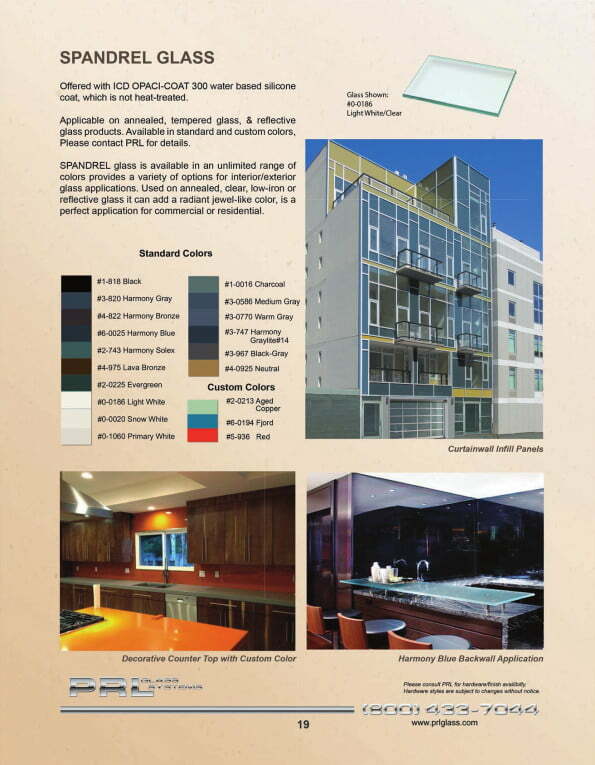 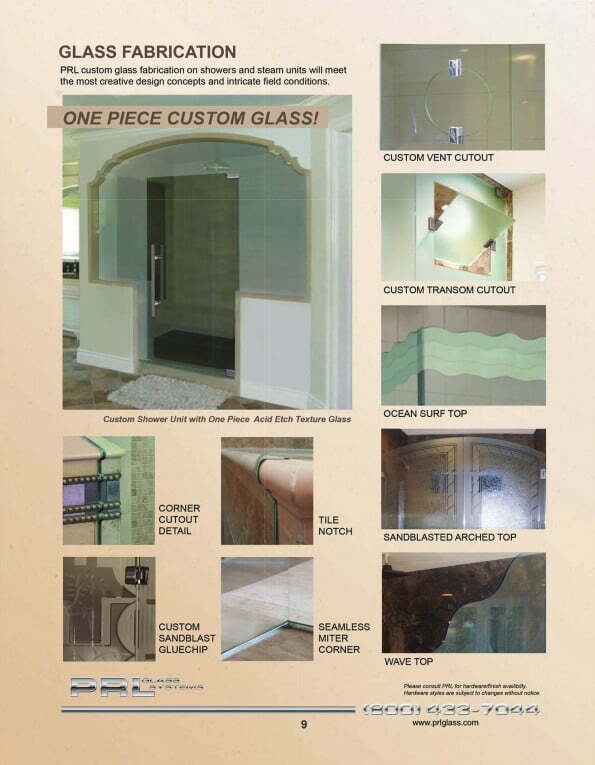 Simply give us your dimensions and we will take care of the rest. 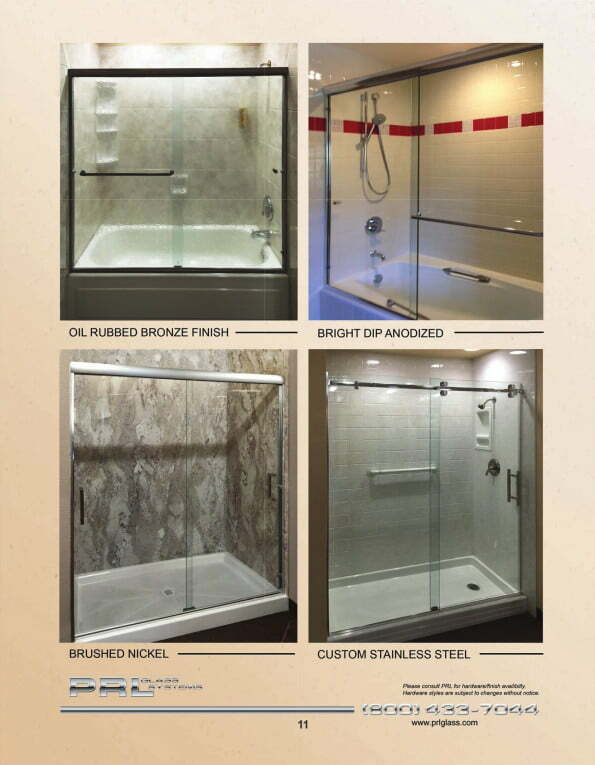 We stock an extensive line of frameless shower door units, door hardware and components with a variety of different types of temped glass. 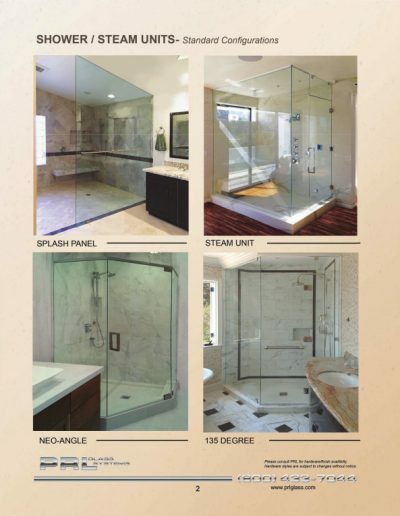 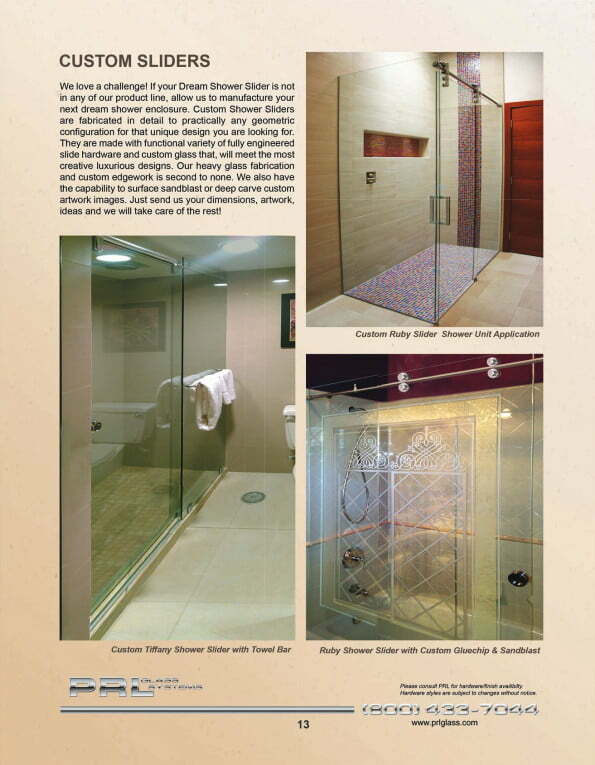 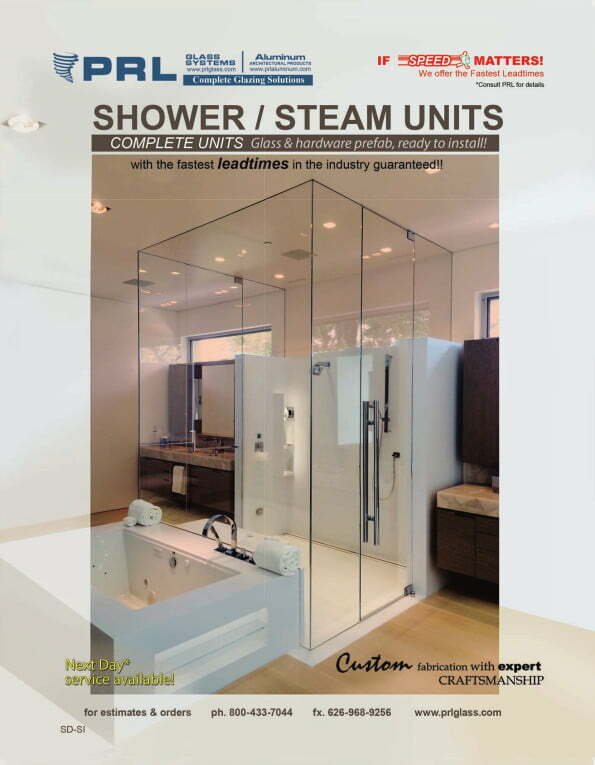 Allow us to assist you with your complete frameless shower doors units and design. 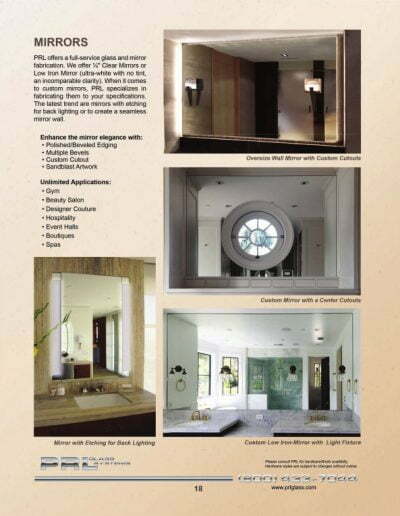 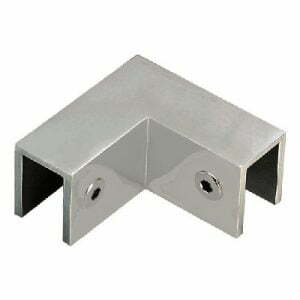 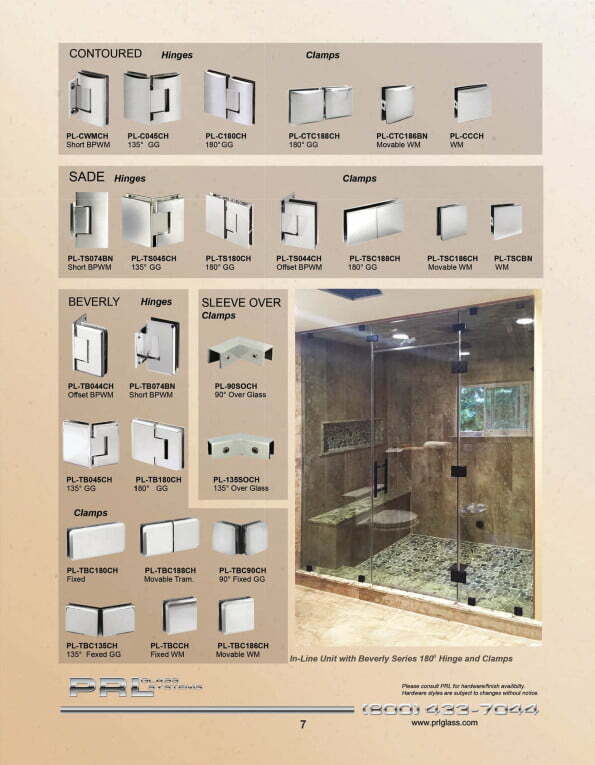 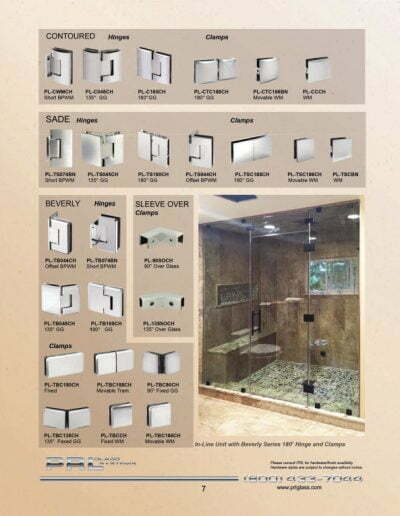 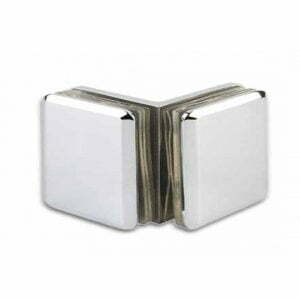 Have many different configurations from the basic single door to the most complex custom shower steam unit design. Each frameless shower door is configured in a different size, thickness and design to fit your opening and your decor. 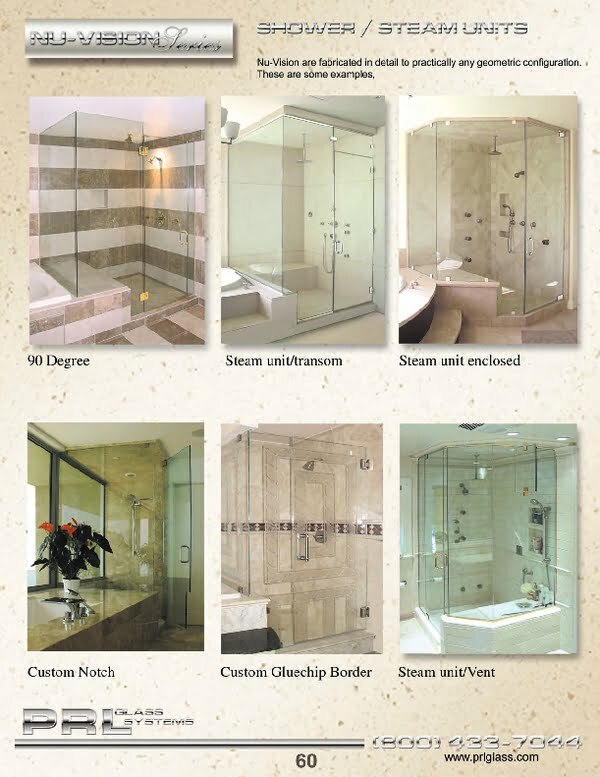 Enclosures and steam units will give your bathrooms that special rich look. 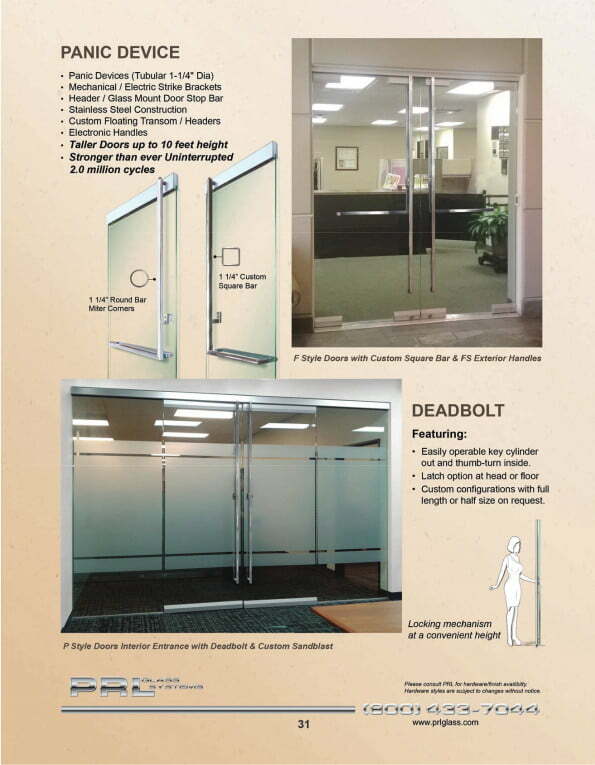 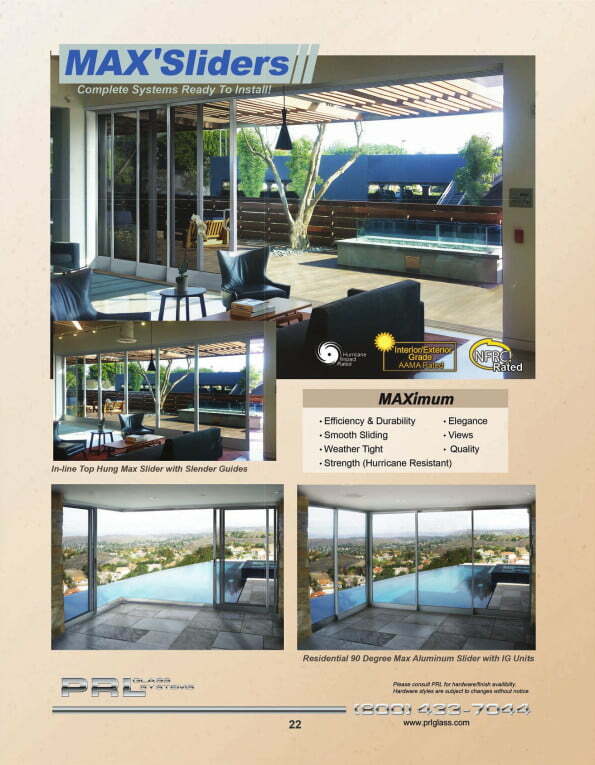 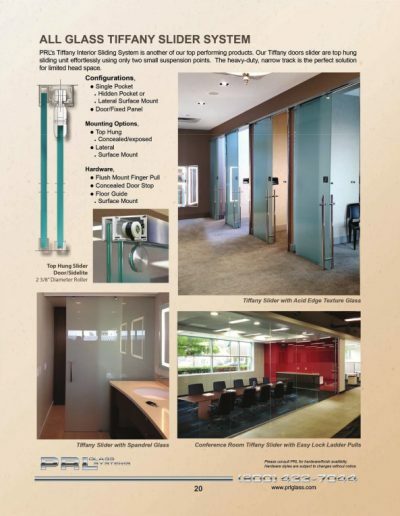 Nu-Vision units feature tempered safety glass in every application, from single doors, door and inline, 90 degree units, splash panel and complex custom units. 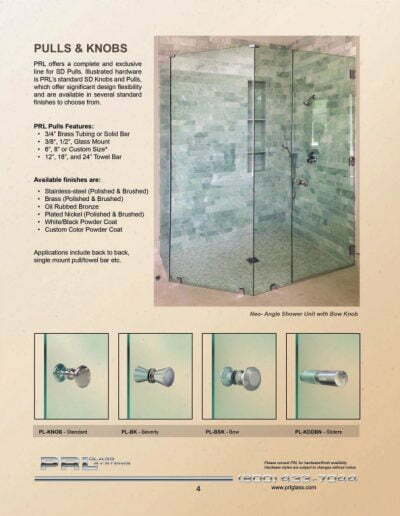 PRL shower door units are strengthened by a variety of exposed support elements including headers, u-channels, support bars and glass clamps.